With every season, I like to keep all my current cosmetic collection purchases in one large dish/basket. I do this, as a reminder, to use all the newer products in their allotted time frame. Finally, I'm wrapping up the arduous task of reorganizing my makeup (three drawers to go), and integrating the newer beauty items into the fold. Yet, to my dismay, I realized I didn't have as much space for new editions as I thought I did; thus, the idea of the "Should It Stay Or Should It Go?" series was conceived. First entry in the series is: Shu Uemura's collaboration with the South Korean, high-end street Fashion designer, Kathleen Kye. I truly appreciate the brand's attention to detail. 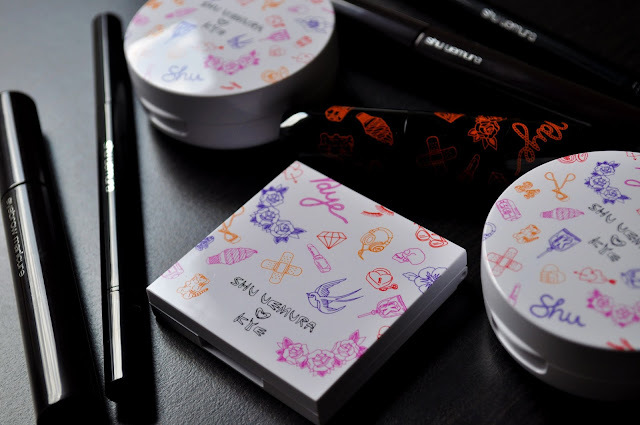 The Kye for Shu Uemura Collection was a big ol' mix bag for me; loving all the brow products, but not so much anything else. And, although some of you love my more snarkier posts, I'm going to start with my loves, the brow goods. I died when I saw all the dark rose and dark violet colored brow products; colored brows are a fun, and edgy way to alter your look. Brow: Palette Eye Brow Powder in Cappuccino/Dark Rose. The limited edition Brow: Palette Eye Brow Powder in Cappuccino/Dark Rose was the product to anchor me to the collection. Both shades are beautiful and look pretty on the brows. Brow: Sword Eyebrow Pencil in Dark Rose and Dark Violet. 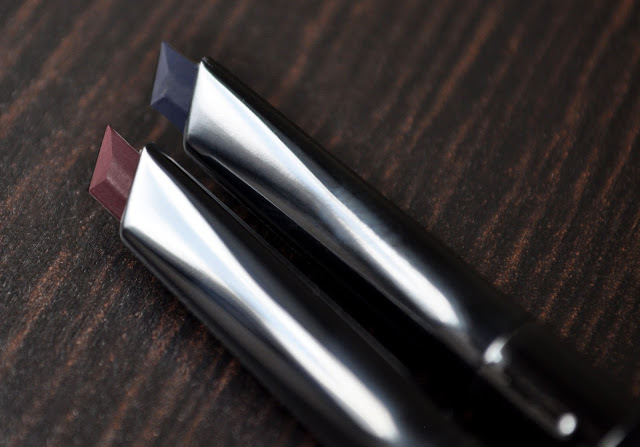 The katana inspired shape of the Brow: Sword Eyebrow Pencil allows for easy, defined precision when filling in or shaping the brows. Additionally, the formula's soft, and smooth, texture gives a natural (minus the color) appearance that last all day. 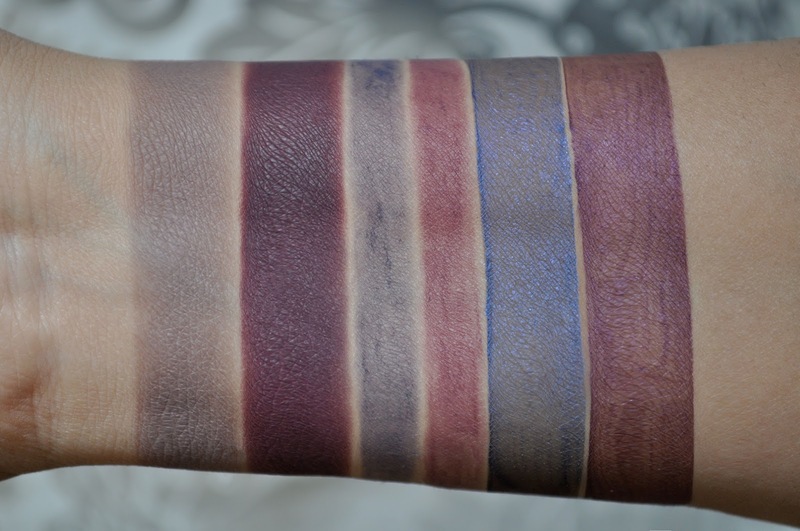 I wish dark rose and dark violet weren't limited edition, because they are attractive shades. One more thing, I forgot to take pictures of it, but the brow: sword pencils have a spoolie on the other end. The spoolie is much too soft and yielding for my liking; so, it never gets used. And, the last of the brow products in the collection is the Eyebrow Manicure. The brush's long and short bristles comb through all lengths of hair easily, depositing a subtle tint, without making the brows look clumpy or feel stiff. The eyebrow manicure is a great finishing touch for fuller, stay-in-place brows. From left to right: Cappuccino/Dark Rose Brow: Palette Eye Brow Powder, Dark Violet and Dark Rose Brow: Sword Eyebrow Pencil, Dark Violet and Dark Rose Eyebrow Manicure. Cappuccino/Dark Rose: a taupish-mauve-grey and a rosy hue/dark burgundy-rose. Dark Violet: a dark, violet-blue. Dark Rose: a dark, burgundy-rose. Dark Violet: a deep, violet-blue. Now, onto the not-so-much liked products. From left to right: Fresh Cushion Blush in Hibiscus Pink and Hibiscus Orange. The Fresh Cushion blushes were a massive disappointment. When I applied the product with the provided puff, I got a decent amount of pigment; but, after blending it out on my NC30 skin, it disappeared. 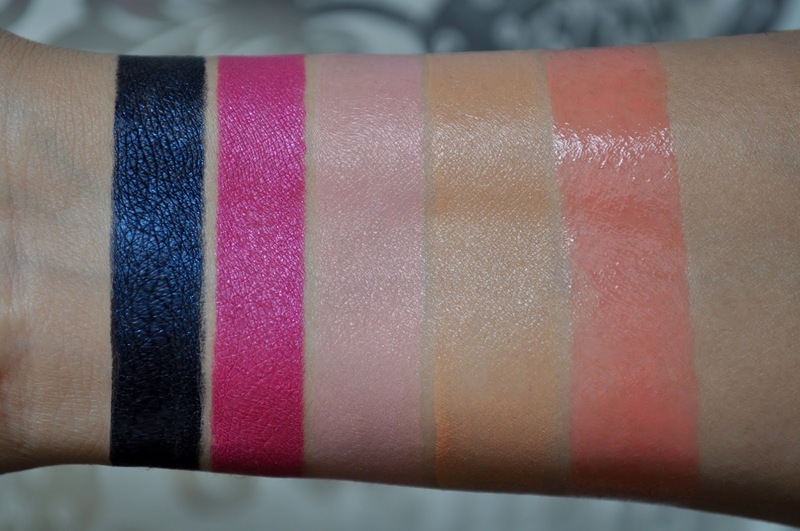 Shame, because the color description for these blushes was "vibrant." Also, I really liked the glossy/dewy finish. 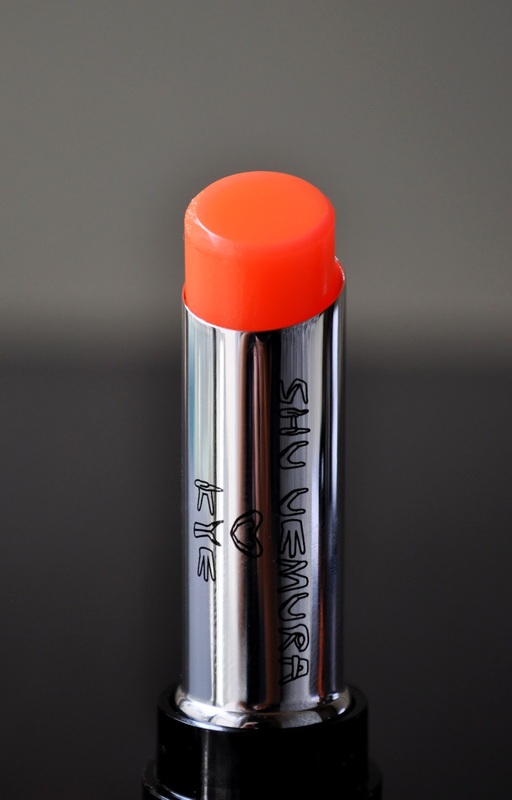 Initially, I was going to pass on the Sheer Color Balm Lip Color (once swatched, all the colors looked the same), but I finally gave into the cute packaging. Anyhow, I should have listened to my gut, because I found this pH adjusting lip color blah and overpriced. Also included in the collection (and swatches below) were the Drawing Pencils, in ME Navy 61 and ME Pink 12 (permanent), and repackaged in the limited edition Kye for Shu print. I already own both, and found no need to repurchase them for the sake of packaging. From left to right: ME Navy 61 and ME Pink 12 Drawing Pencils, Hibiscus Pink and Hibiscus Orange Fresh Cushion Blush, Melt in Orange Sheer Color Balm Lip Color. ME Navy 61: a metallic navy with blue glitter. ME Pink 12: a metallic hot pink with pink glitter. Hibiscus Pink: a milky, cool pink. Hibiscus Orange: a milky orange. Melt in Orange: a neon orange. Overall, loved all the brow products. I've only worn them twice this season, because it's way too hot and humid in Tokyo, and I sweat like a man-beast. Also, I find these shades more fitting for fall, winter and spring. Therefore, they'll be in retirement until it get cooler (end of October). As for both, the Fresh Cushion blushes and the Sheer Color Balm Lip Color, they will be going up for sale, and finding a proper home to love them. I resisted this collection but I love the print - I'd steal the GWP pouch off you if I could! 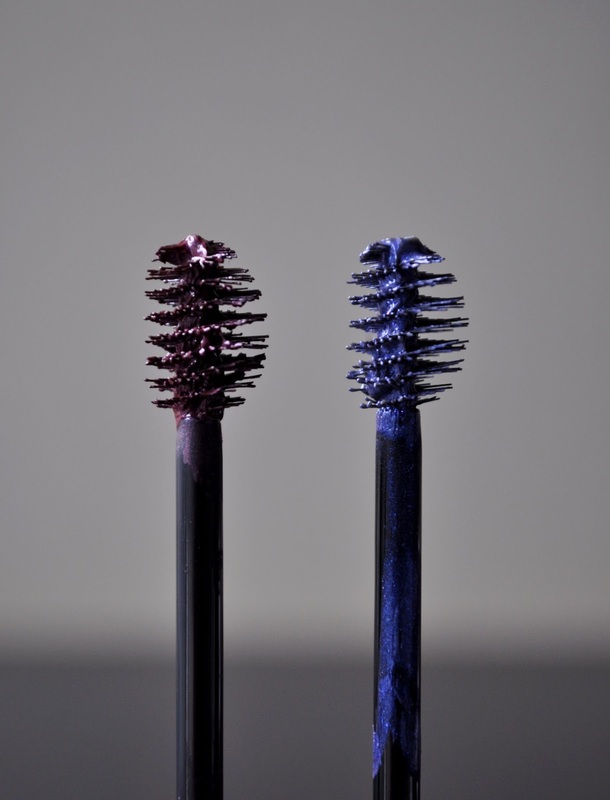 The brow products look awesome - I love the burgundy! The lip and cheek products are a big disappointment, but all the brow products were gold; I heart them.